Linda retired from her every day office duties as scheduling coordinator for Nev-Cal Home Inspections in 2015 passing the torch to her daughter-in-law Hollie. 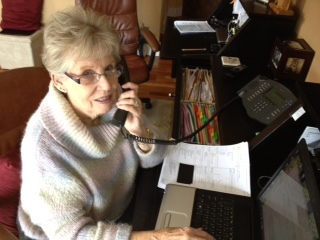 Linda does continue to fill in for scheduling during busy times. She enjoys communicating with Realtors and clients to set up the inspection dates and getting the pertinent information ready for the inspectors. Linda has worked for NEV-CAL since her “initial retirement” teaching (20 years); property management for Northstar at Tahoe (18 years) and a Real Estate office manager (7 years). She is delighted that NEV-CAL Home Inspections is owned by the Wolf sons.